Includes one male end fitting, one female ending fitting and one tapered head. Includes a Duct Rod Repair Kit. 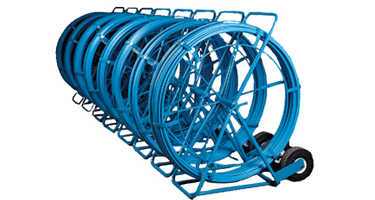 The Python duct rodder is the most popular duct rod suited for everyday applications. It features similar strength properties to the Cobra rod, but the Python is less rigid.